Hai oranga mō te tangata? It is with great sadness that Te Rūnanga o Ngāi Tahu acknowledges the passing of Betty Rickus on Saturday 27 January 2018. Betty was a great contributor to her iwi, marae, whānau and the community. She worked tirelessly for Ōraka Aparima Rūnanga and was one of its founding members. She served as an Alternate at the Te Rūnanga table and on the rūnanga executive committee for 10 years where she also held the office of Treasurer for a number of years. Betty spent 17 years as a Trustee on Ngā Kete Mātauranga Pounamu Charitable Trust and went on to be an active member of the Kāhui Kaumātua. Notably Betty was a constant companion at the side of Aunty Jane Davis. Betty attended every Waitangi Tribunal hearing and was ever present at the tribe’s early constitutional debates seated in the front row alongside Aunty Jane and our senior women of the time. She was relatively quiet, but always there, always contributing and hugely influential. Betty ‘retired’ a couple of years ago, but remained a regular at rūnanga hui and tribal events throughout the motu, and was a great supporter of kapahaka. Our thoughts go out to her whānau at this time. Betty is resting at Takutai o te Titi Marae Colac Bay. 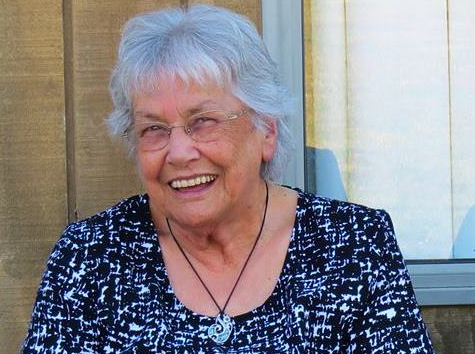 Her service will be held on Wednesday 31 January, 11 a.m. at Takutai o Te Titi Marae Colac Bay.